Notice of call for labelling candidatures for products, managed services and consulting activities under the France Cybersecurity Label. The governance committee of the France Cybersecurity label has launched a call for candidatures for labelling of products, managed services and consulting developed by French companies, offers which are oriented toward users and international ordering parties from all sectors in order for them to dispose of secured, tailored and effective cybersecurity solution. This label is governed by a tripartite structure consisting of users representatives, industrials representatives and relevant State services. Services are provided from France or hosted in France when appropriate. The quality and performance of products and services are assessed by certifications. The candidature file application date is set until 2018, September 28th at noon. The candidature file corresponds, for a company, to a labelling request for a product, a managed service or a consulting activity that meet the prerequisites listed above. In doing so, a company can dispose of several application files and be given, at the end of the procedure, a label for each of its offers engaged in the labelling process. After the verification of eligibility and the payment of the processing fees, the applicant file will be transferred for investigation to an independent third-party instructor mandated by the governance of the France Cybersecurity Label. During the instruction phase, the third-party instructor might, after acquainting himself with the whole file of the applicant company, contact the latter for inquiries that will stay within the scope of mission given to the instructor. The instruction and selection procedure is overseen by the France Cybersecurity Label award committee, in particular on the basis of the appraisal report issued by the third-party instructor regarding the applicant’s file. a second phase of instruction overseen by a third-party instructor, an independent cabinet which expertise and skills in the field of companies data analysis and knowledge in cybersecurity are recognized. 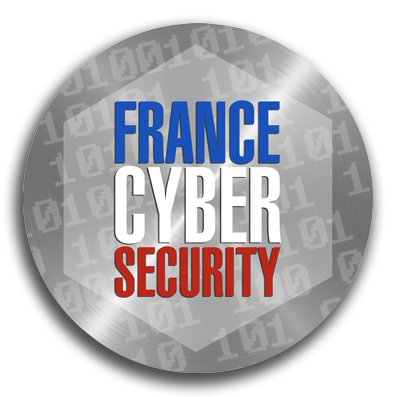 a third phase of decision which, based on the third-party instructor’s appraisal report and after deliberation within the award committee, consists of a formal decision of attribution, deferment or refusal of attribution of the France Cybersecurity Label regarding the submitted offer. The processing fees amount to 3000 € including taxes per application file for a large company and to 1500€ including taxes for company under 250 employees (SME).